Lush Fab Glam Inspired Lifestyle For The Modern Woman: Special Discount Available for Joining Walgreens Prescription Savings Club! 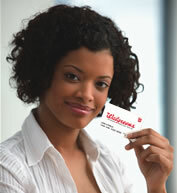 Special Discount Available for Joining Walgreens Prescription Savings Club! Walgreens Pharmacy currently offers more 24-hour and drive-thru service than other pharmacies in the U. S. ensuring that customer access to their medication is convenient and affordable. As of January 1 2012, Walgreens was unable to negotiate a new contract with Express Scripts which acts as a middleman between pharmacies, employers and health plans. As a result Walgreens ability to service and provide prescriptions to their customers has been disrupted. Walgreens patients will now unnecessarily be forced to go elsewhere to be able to use their in-network pharmacy benefits. This means that patients will have to not only change their current pharmacist but will have to find the time out of there already hectic schedules to travel further to use pharmacies with less convenient hours. Only Walgreens patients with certain prescription insurance plans managed by Express Script are affected. (You should check with your local Walgreens pharmacist to see if you are affected.) If the back of your prescription insurance card does not have the name 'Express Script' then you are not affected. Several surveys have shown that employers value Walgreens as a pharmacy option for their employees, but Express Script's refusal to create a new contract with Walgreens' means that employees will no longer have that option. To minimize the disruption Walgreens is offering a special discount on annual membership for its Prescription Savings Club. During the special January promotions an individual can join Walgreens Prescription Savings Club for only $5 or you can obtain a family membership for only $10. The benefits includes savings on over 8000 brand name and all generic medications. This is an incredible offer since regular membership for an individual is $20/year and family membership is normally $40/year. Are you a Walgreen's Pharmacy customer and was this information helpful? Leave a comment below.